Escape the busy metropolis of Marrakech on a stress-free day trip to the Ouzoud waterfalls. 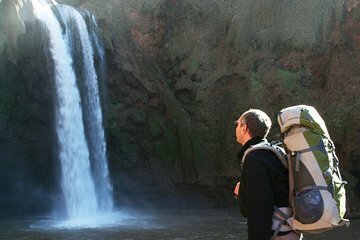 Enjoy easy transportation to the village of Ouzoud, and hike along a tree-lined path to the base of the towering 360-foot (110-meter) cascades. Look for a variety of birds and possibly wild monkeys, and visit a traditional watermill. Your tour includes hotel pickup and drop-off in Marrakech.